NEW YORK – Craig F. Starr Associates will present Jim Dine Car Crash from January 13 through February 11, 2006 at their Upper East Side gallery. 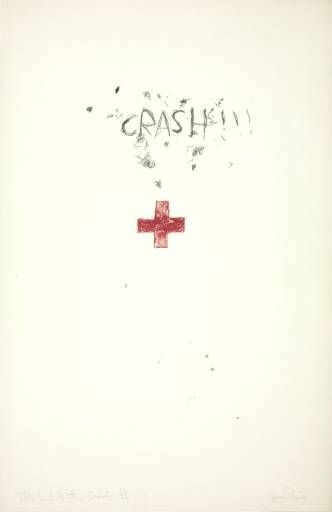 This show consists of rarely-exhibited drawings from Dine's Car Crash series of 1959-1960. Dine explored this theme in paintings, drawings, and prints in a related performance, one of the seminal Happenings of 1960. 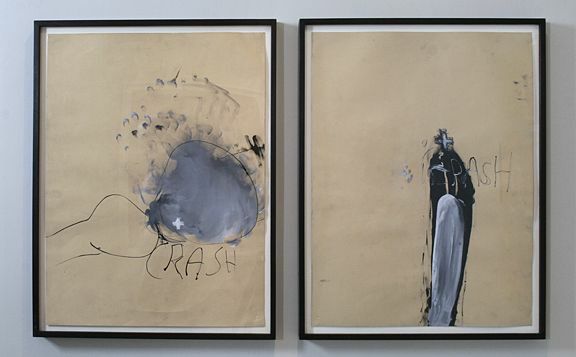 These remarkable drawings combine paint and collage in intense imagery suggesting the trauma and confusion of a car crash. A motif running throughout the works is the cross emblem of ambulances, suggesting physical pain and loss but also hope for salvation. 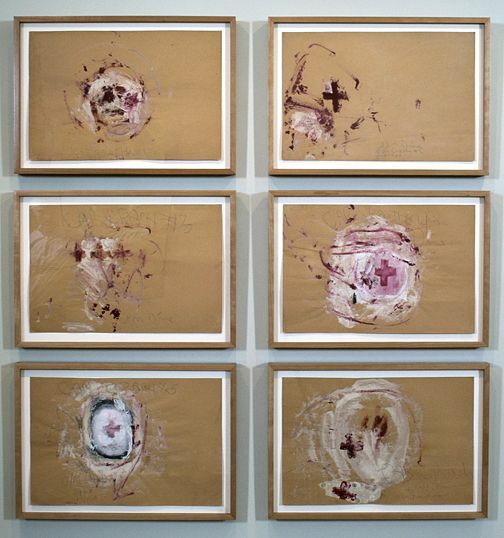 Like his contemporaries including Jasper Johns, Robert Rauschenberg, and Cy Twombly, Dine's work from the late 1950s engages with the gestural energy of Abstract Expressionism and infuses it with personal significance. In this case, Dine himself had been involved in two car accidents in 1959, the first while driving alone and the second with his family.